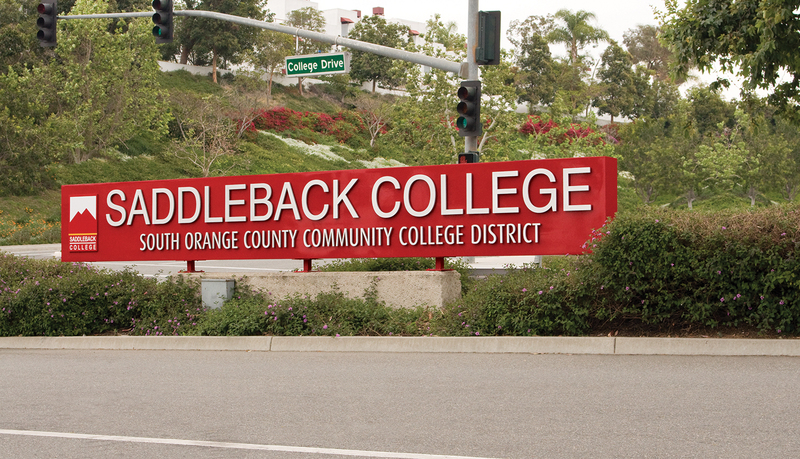 Saddleback College is the largest member of the South Orange County Community College District and the college offers educational opportunities and support services to a diverse and growing population in southern Orange County. 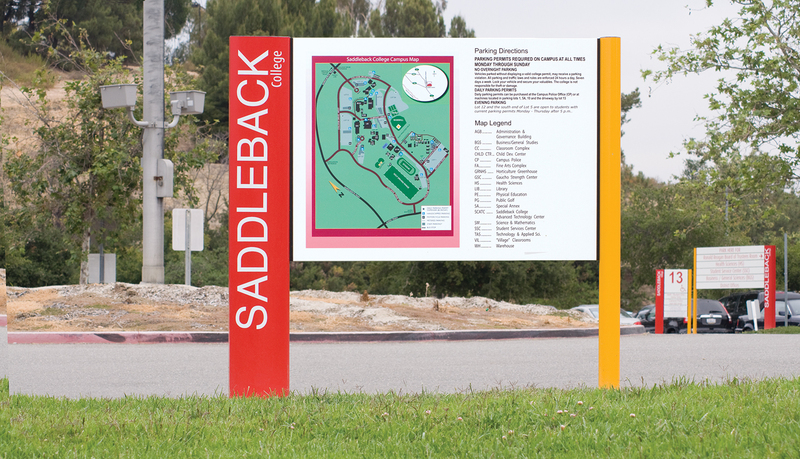 Saddleback College needed a durable exterior sign system to reinforce its brand identity and improve wayfinding across the 214-acre hillside campus. 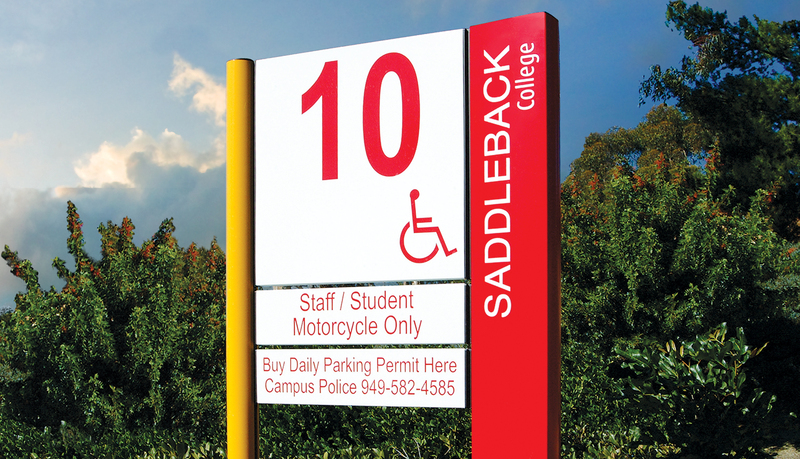 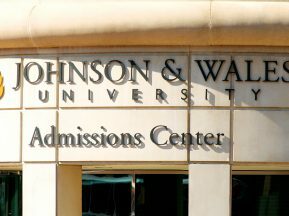 Saddleback College also sought an interior signage program with a uniform look that would afford them in-house control. 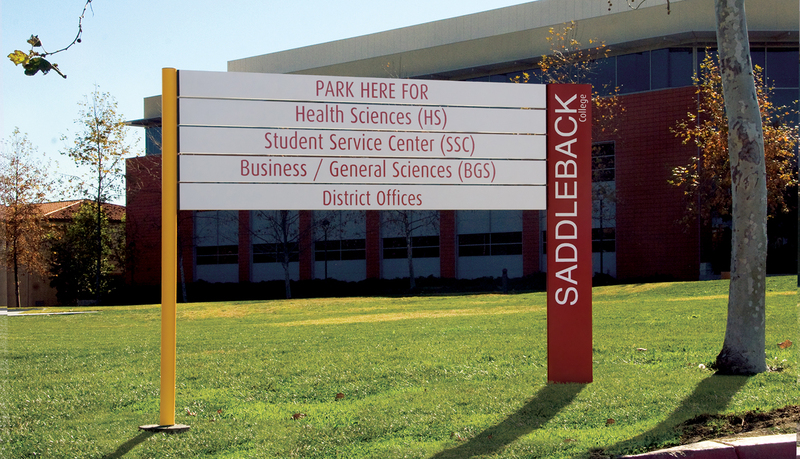 Saddleback College chose ASI to design the exterior sign system based on the proven quality of ASI’s signage coupled with the conscientiousness of the ASI SignPlan™ team. 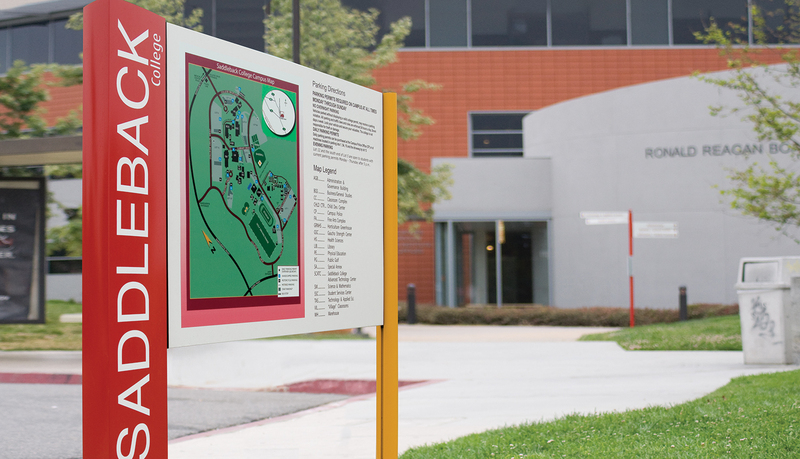 ASI designed vibrant signs based on the modular and resilient Compass™ modular signage system, strategically placed to aid in navigating the expansive campus – especially vehicular traffic, since most of Saddleback College’s nearly 25,000 students commute by car. 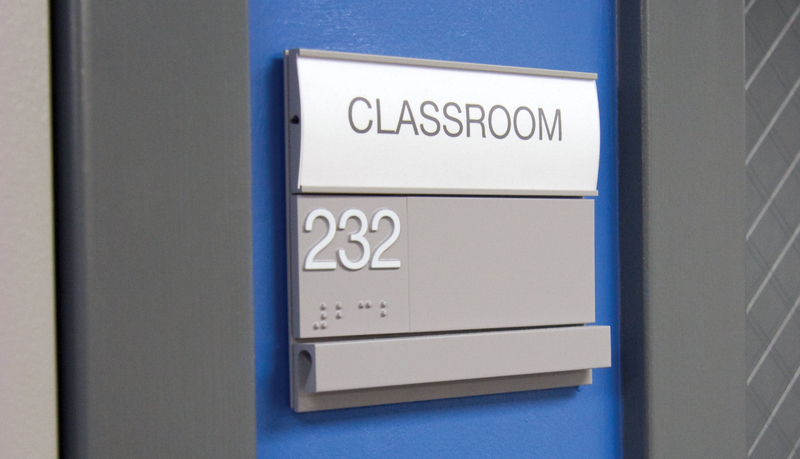 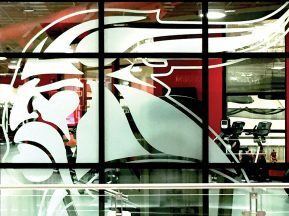 ASI also provided the Infinity™ modular signage system for the interior of the Business & General Studies and Science & Health buildings. 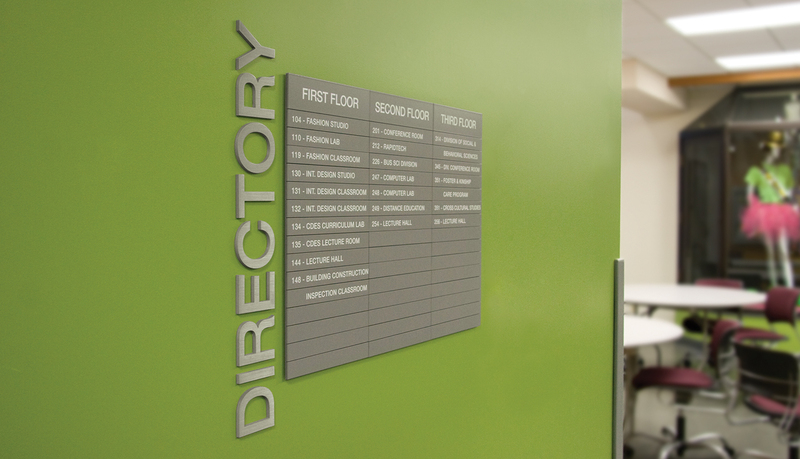 Infinity is easily updated and complements any décor. 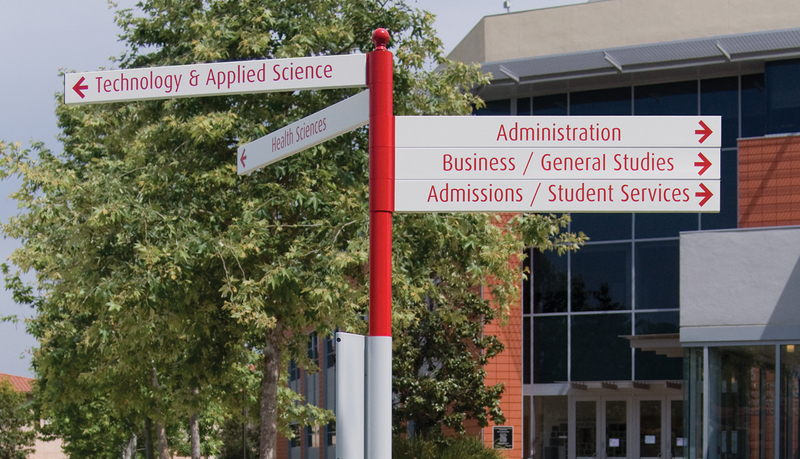 Saddleback College was so pleased with the results of the two-building solution, it is now standardizing ASI’s Infinity signage campus-wide. 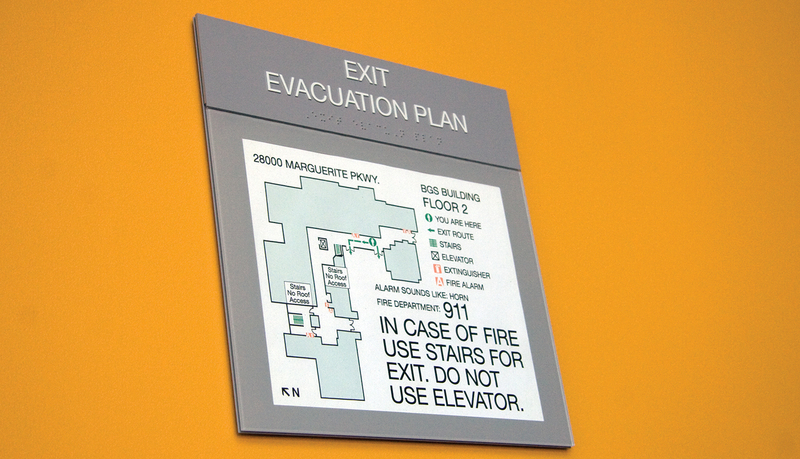 ASI paid meticulous attention in the upfront planning of our interior & exterior signage, working collaboratively with college management to decide exactly what signs would work best where. 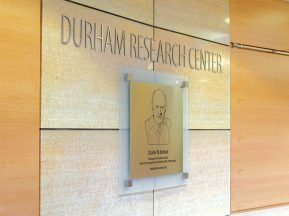 The result is not only attractive and functional, but enables us to make changes without having to replace entire signs. 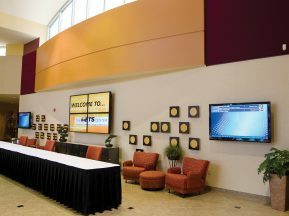 This way, our signage system can adapt as the college grows.